Ken McGaffin just shot me an email alerting me to a free version of Wordtracker, which goes 100 terms deep, and shows daily search volume estimates based on the marketshare of Dogpile and Metacrawler. Great timing exactly. With overture's popular keyword tool out of commission this is a perfect opportunity for wordtracker to gain new brand recognition. The timing couldn't be better. I'm sure their subscriber base is going to explode. We're offering 100 results free, adult filtered with drill down into the long tail. All the other tools only report our top 15. Hmmm... I punched in a few terms and it repeatedly gave me "No results found." Anyone else experiencing this? I got so sick of those cgi errors when using yahoo's keyword suggestion tool. Many times, I was unable to get any results because of the errors. It's nice to see that there's a keyword suggestion tool that doesn't give you errors when you use it. Great news. I've long wished that WT would offer a loss leader. Has anyone tried wordze.com? What do you think? I've been using it for a while. It's blazing fast compared to wordtracker that's for sure. this is a good tool, but I'm still having doubts about if I can have a good results looking keywords in Spanish, I'm from Mexico and I don't know if wordtracker or other tools can help me to find keywords for this niche. And here is the free research keyword tool from KeywordDiscovery offer top 100 from our global keyword database of 32 billion searches. This database also includes a few Spanish keywords. This is very, very good. www.digitalpoint.com/tools/suggestion is a good service, but as Mike says, it only includes 15 results. Wordtracker's new tool is so good because it's so much quicker than the old Overture tool. Thanks Wordtracker and bad mistake Yahoo! The timing is perfect indeed, since the overture tool died. I've been on the edge about purchasing the Wordtracker subscription, but using their free tool may push me over the edge. Good call. Tulip4Heaven, I believe these are daily searches. Yes, great tool and most important straight to the point. The reason that people liked overture was simplicity and straight to the point. But this one is even better I guess. Good move Mike. Very nice place to start keywords research. What about HitTail? 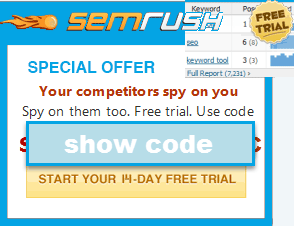 It has been providing keyword suggestions for free since last summer. The results differ dramatically between KWD and WT - way more so than Overture and WT. And what's even better is that Overture is back and running. I managed to run multiple queries. Are they feeling the heat of the competition? Did they hear our cries or are wordtracker and keyworddiscovery (wich is down right now) taking away enough visitors to give Overture a breath? Anyway. we no have three free tools to choose from, wander how long this will last! Getting a "server not found" with KeywordDiscovery. The HitTail keyword list is different from either KD and WT. It draws the list from your own website activity, then issues some as suggestions. It's also a real-time traffic report, free and very addicting. I check it 3 or 4 times a day. Great timing exactly! I fount Yahoo! put on the airs. And I suggested my boss to choose Wordtracker. keyword discovery wanted scan of my credit card but i didnot send it dont signup if you dont have card scans.